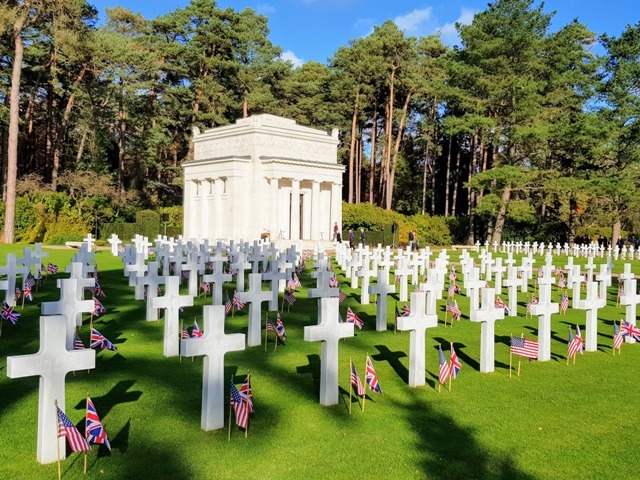 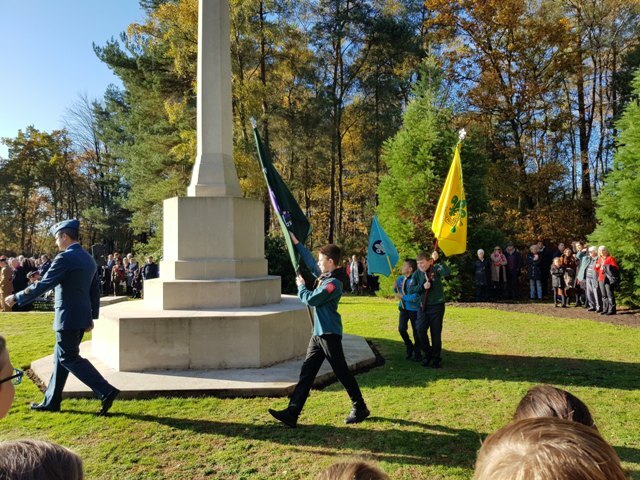 The 1st Brookwood Scout Group was immensely proud to attend the 2018 Remembrance Sunday commemoration at Brookwood Cemetery which marked the 100th anniversary of the end of World War 1. 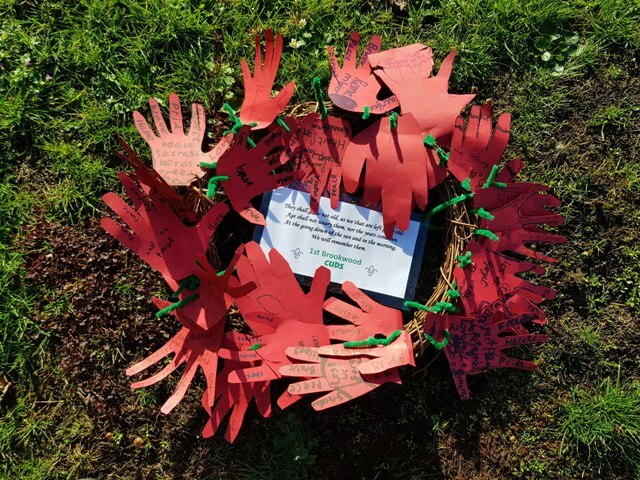 On a beautifully sunny November morning members of our Beavers, Cubs and Scouts listened intently to the service. 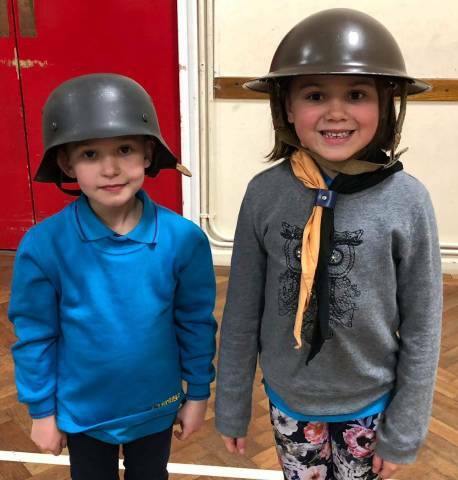 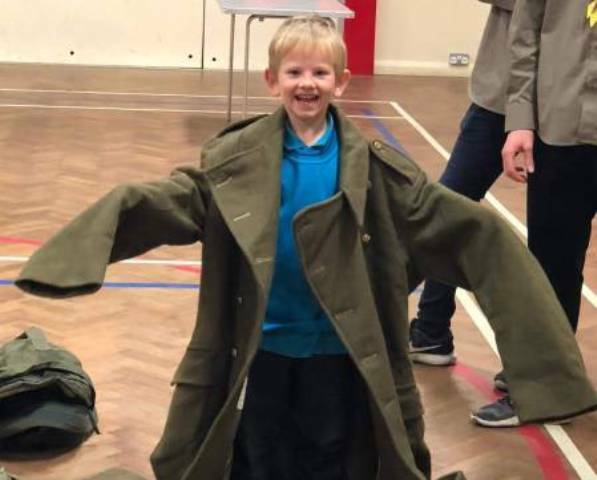 At the meeting before Remembrance Sunday our Beavers and Cubs had great fun when a serving soldier brought down some World War 1 uniforms, helmets, gas masks and even a bayonet. 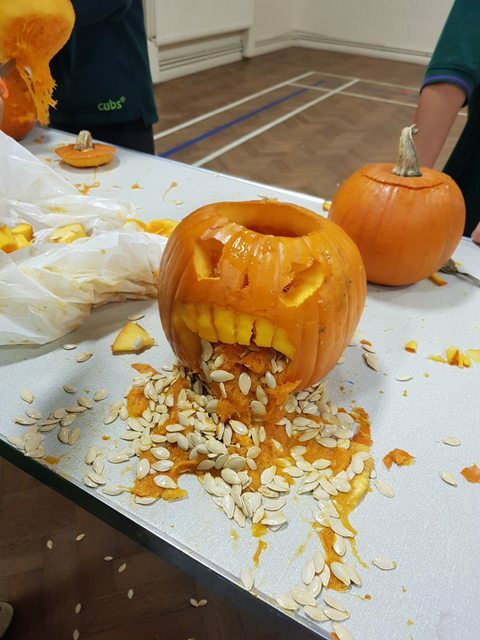 From 26th to 28th October some brave 1st Brookwood Scouts attended the annual Scarefest event at Gilwell Park in Chingford. 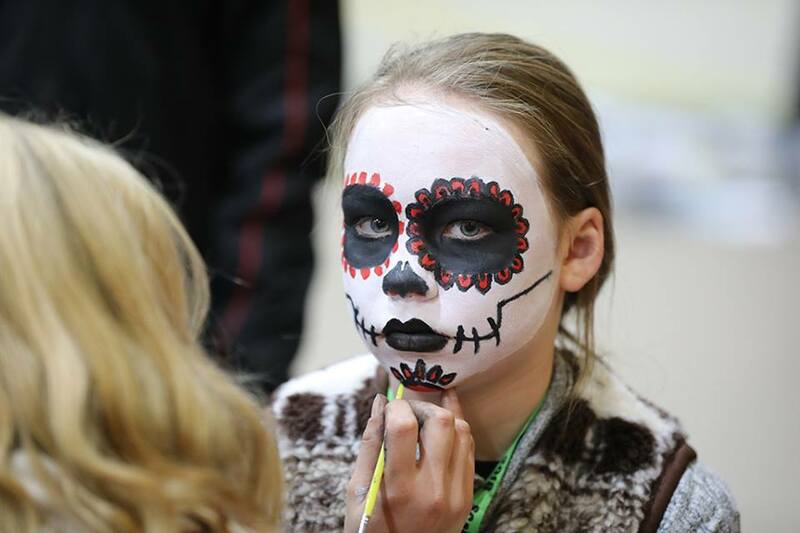 Scarefest is a spooktacular weekend activity camp for Scouts, Explorers, Guides and Rangers. 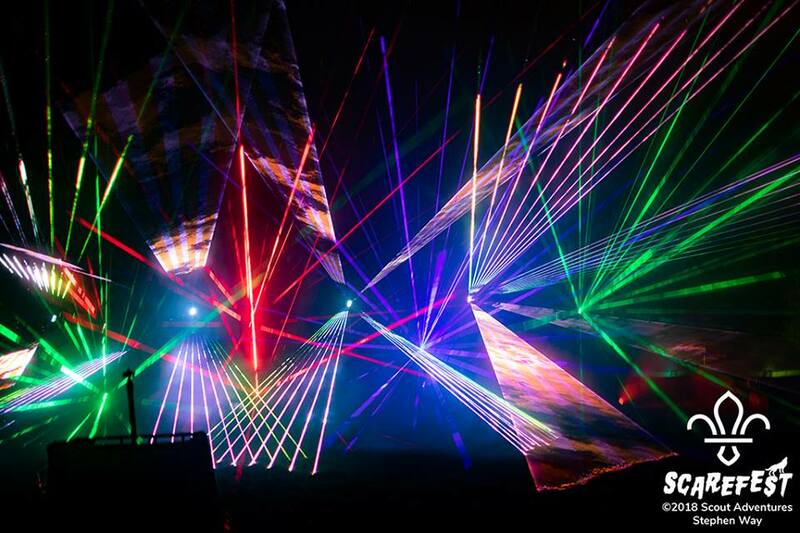 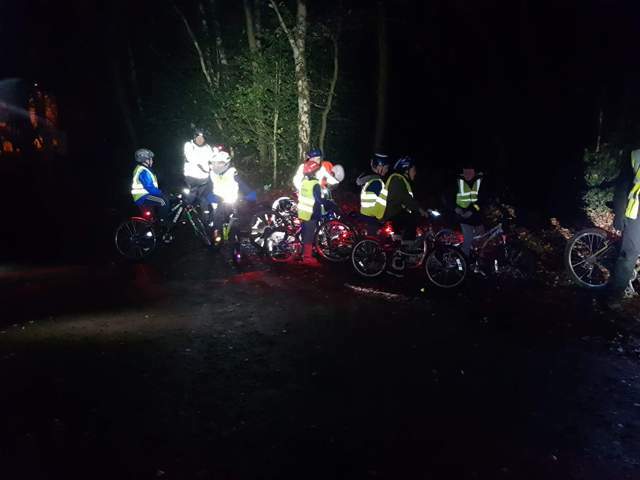 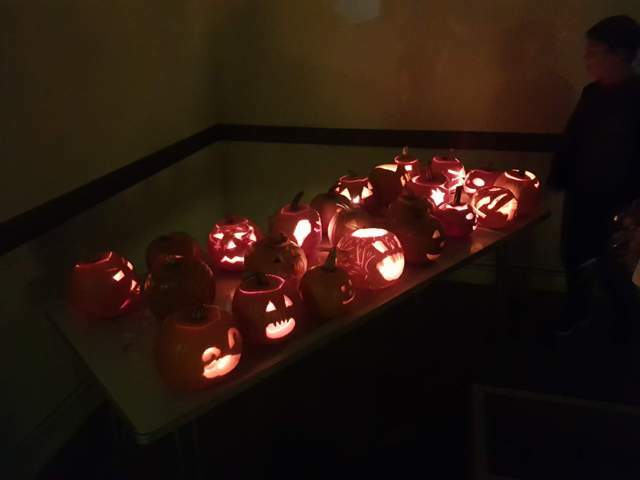 On Saturday participants could take part in a range of frightfully fun activities before Gilwell Park was transformed into a park of horror at nightfall when the spine-chilling shenanigans commenced. 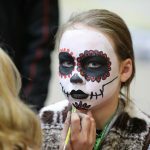 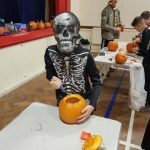 Amongst the fun Halloween games, giant inflatables and traditional scouting activities such as Jacob’s Ladder, archery, caving and climbing our scouts were given the chance to look super scary with some brilliant face painting as you can see below. 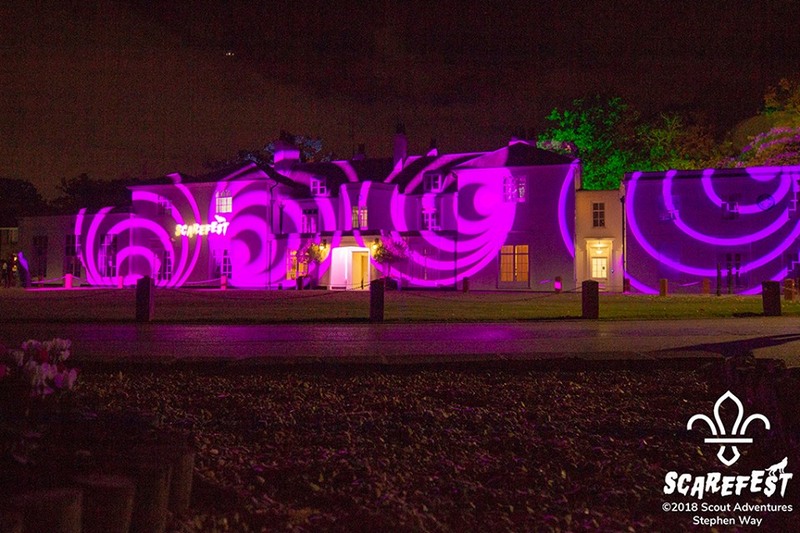 The event also included a wonderful firework display enjoyed by all. 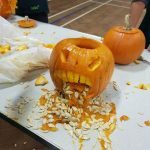 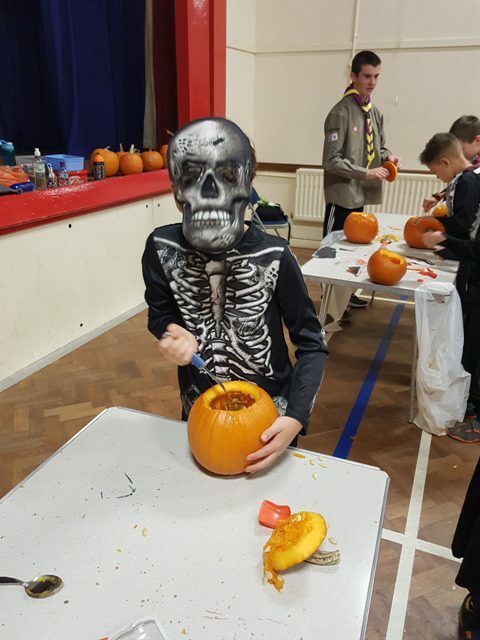 This October the Cubs dressed up in their brilliant Halloween costumes and had great fun carving pumpkins at the final session of the half-term. 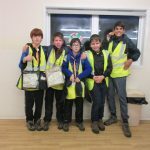 This Autumn the 1st Brookwood Scouts were overall winners of the Esher Night Hike. 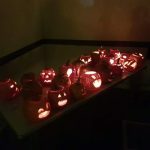 A fantastic effort by all that took part. 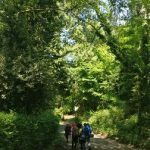 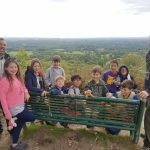 On the last weekend in September, a contingent from 1st Brookwood Cubs ventured away on an Autumn Camp in at Bentley Copse Activity Centre near Shere. 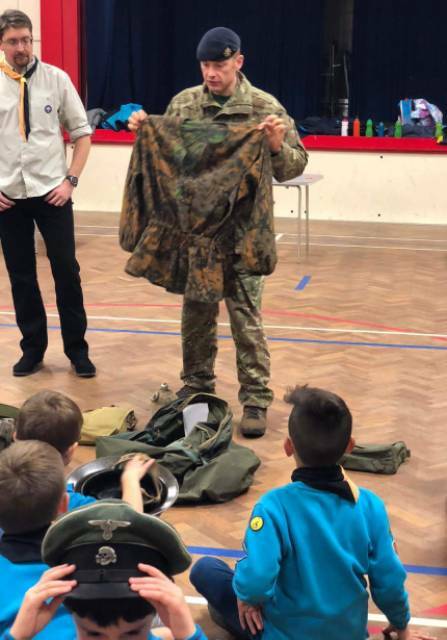 Practicing putting up tents was the main agenda for the previous two evening meetings – for many Cubs this was the first time they had done this on their own – as well as learning what clothes and equipment they would need to bring to keep them safe and warm on their adventure. 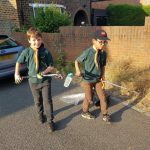 After much planning, and many rainy days, Saturday 29th dawned warm and sunny, and with the help of both Cubs and Parents, we load a mountain of equipment into a hired van and parents’ cars, and set off to Bentley Copse. 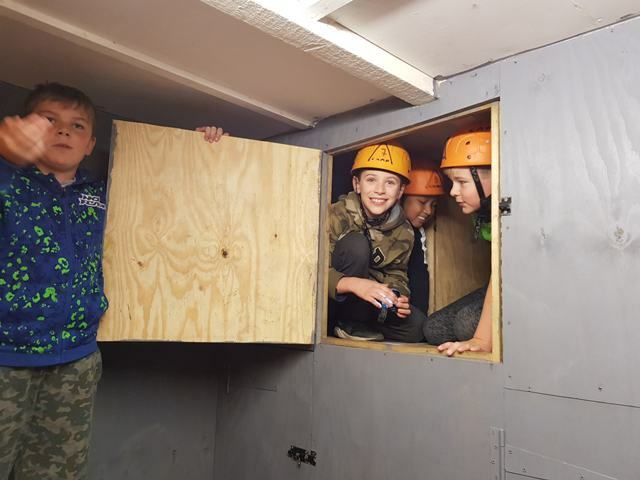 On arrival, the first task was to construct the kitchen tent and mess area, while the 18 Cubs were divided into “sixes” – small groups that we named after animals – and set up their own tents in those groups. 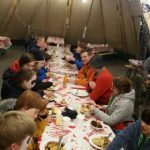 After a quick tent inspection, it was time for lunch and then straight into the afternoon activities. 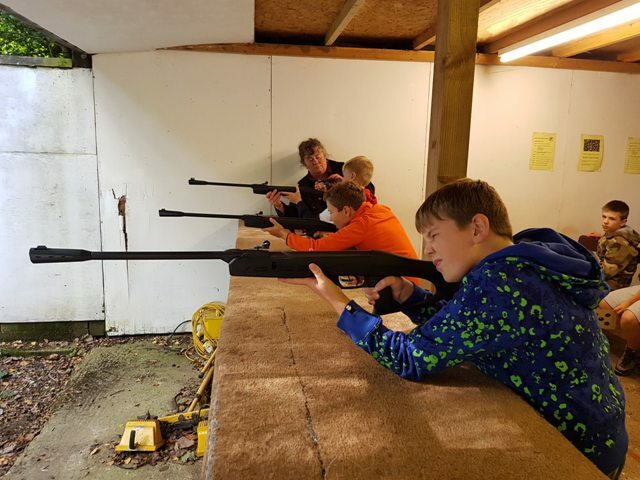 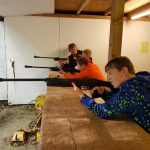 Bentley Copse has many exciting things to do on site, and the Cubs learnt about the Country Side Code as well as thoroughly enjoying shooting air rifles in the indoor range and an amazing 3D maze complete with spooky surprises in the dark! 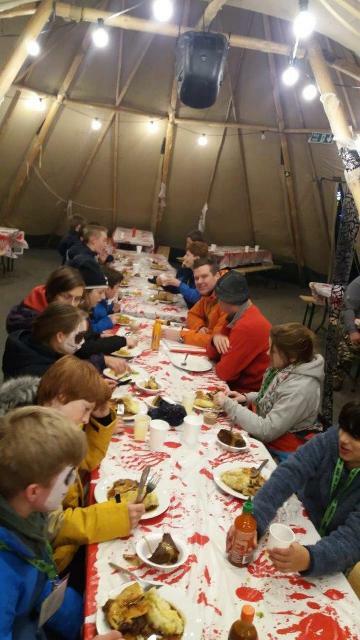 Supper of hearty chicken stew (and a veggie alternative) was followed by the traditional campfire. 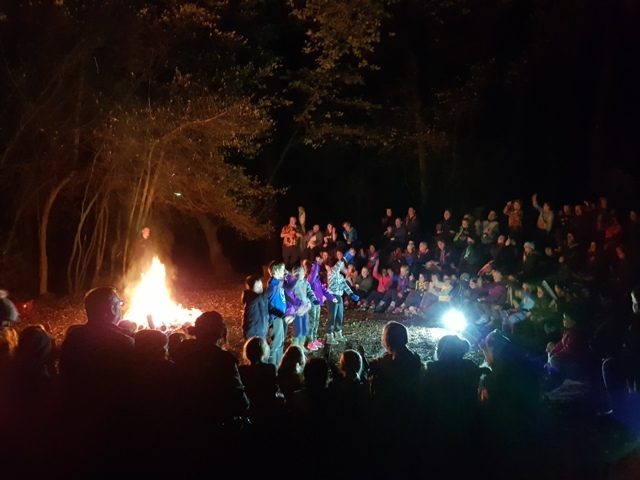 We were lucky enough to be hosted by 1st Sheerwater group at their campfire, with the young people all making up and presenting skits, as well as joining in all the songs. 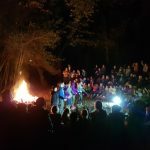 It was fantastic to hear the 100 or so voices around the campfire! 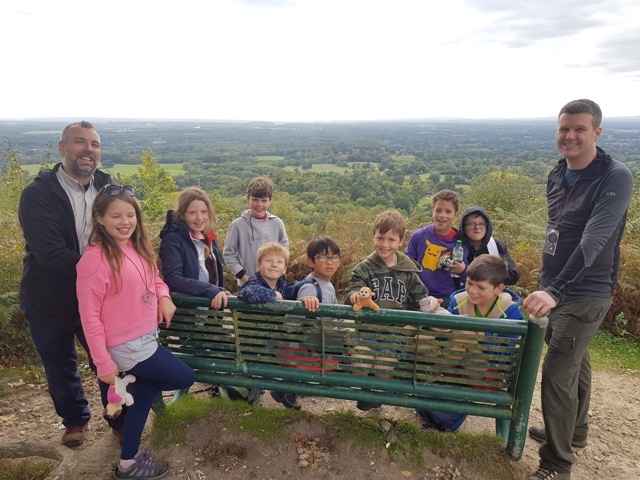 After hot chocolate and marshmallows, it was time for bed – quite a chilly night at only 3 degrees – but the Cubs all slept well and were up bright and early for breakfast and a 7.5 km hike through the Surrey Hills taking in Pitch Hill and its wonderful view. 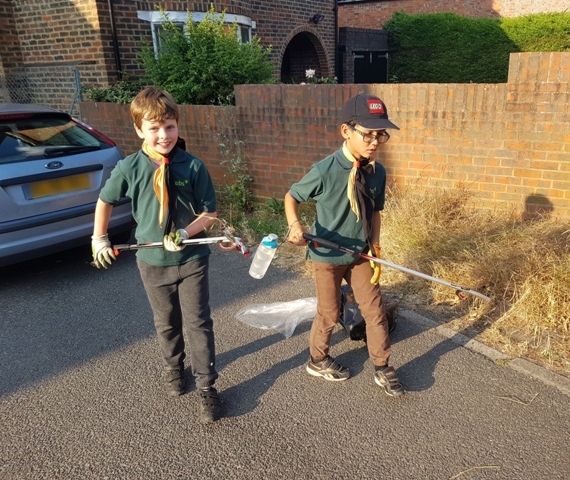 Lunch came next, and then the daunting task of clearing away the campsite and loading the transport – which the Cubs all helped with superbly. 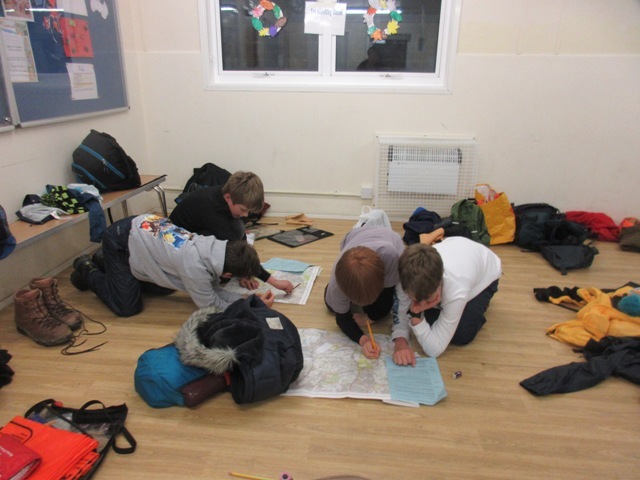 Then, after a wide game or two, cake and prize giving (the Giraffes six earned the most points during the weekend – well done to them) it was time to depart back to HQ to stow away all the gear, before all heading home tired but full of great new experiences. 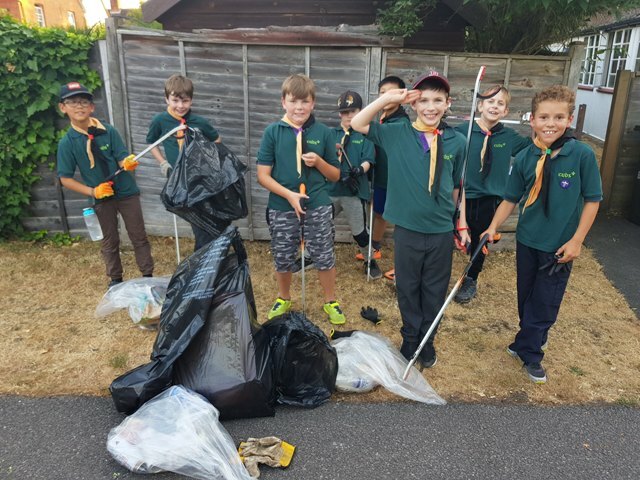 For many of our Cubs this was their first Camp – congratulations to them, and for the Leaders it was the first most of them had organised from scratch. 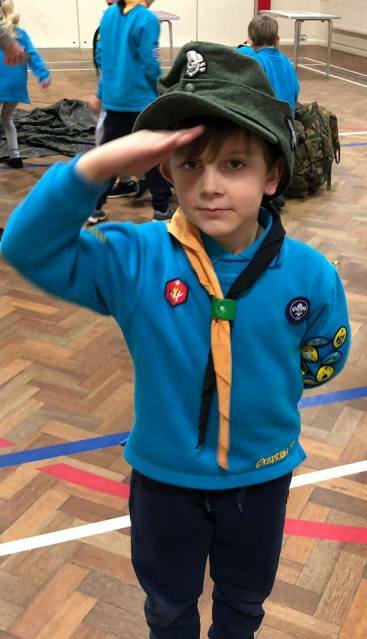 We were delighted with all the smiles, and with seeing the Cubs develop their skills, teamwork and confidence over the weekend. 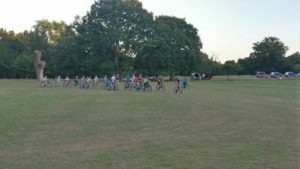 Well done to them all, and a huge thank you to the organisers and parent helpers, without whom these events would not be possible. One summer evening the scouts were out in force, improving their cycling skills, with obstacle courses, balance games and finishing off with a pursuit race (pictured). 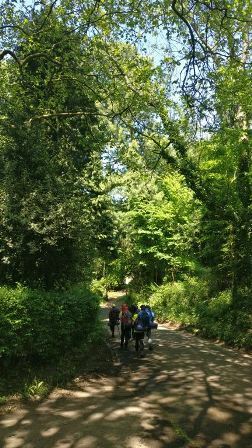 After such a sunny day it was lucky it had cooled down a bit in the evening, but it was nice to be outside! 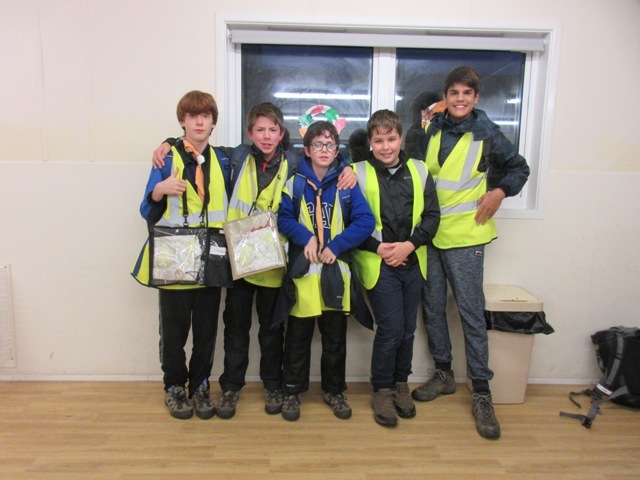 Over last weekend, five 1st Brookwood scouts competed with 21 other teams in the Surrey County lightweight competition, the main hiking competition for the county. 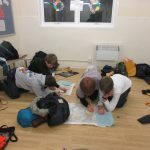 They camped over two nights, carried all their equipment and food and navigated a total of 26 miles, while being assessed at almost every component of the camp. 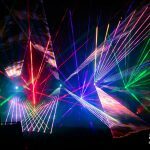 As a competitive team, they were completely independent with no guidance from leaders. 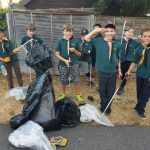 They did this with hard work, skill and exemplary behaviour. 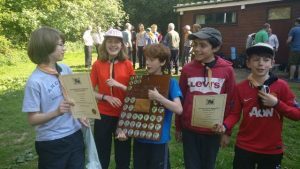 As a result I am very pleased to inform you that with very strong competition, our team won the competition, and were awarded the trophy by the County Scout Commissioner. Overall, an excellent weekend for 1st Brookwood scouts, and our congratulations to the team.